Maybe you belong to one of the many people who feel frustrated because of difficulty losing weight. That’s not surprising. Because the weight gain is a problem that is so complex. The benefits of yoga practice are directly perceived the loosening of rigid muscles due to lack of movement, and stress. Yoga movements also improve flexibility, and help to correct posture due to weight gain. Yoga exercises help to strengthen and lengthen muscles so the body becomes more slender and beautiful. However, a proportionate body is not always followed by weight loss. Remember, muscle is more dense and heavier than the volume of fat tissue. Another benefit of yoga is the psychological aspect. Weight gain often makes self-giving negative comments. Through yoga we prevent this by creating a positive environment to reconnect the body and eliminate the negative messages that often come to mind. At the physiological level, yoga is perfect for people who really want the weight loss. For those of you who may never exercise, it’s worth trying a yoga class for beginners. Do not jump to middle-class already. Maybe this is not the time for you who are not physically active before. Yoga does not give grandiose promises of rapid weight loss. Yoga only promises two major benefits for people who want to lose weight. First of all, yoga improves digestion and relieves constipation, and flatulence. 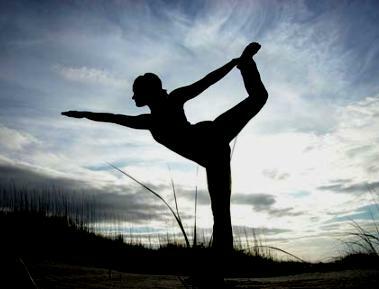 Secondly, yoga improves blood circulation to the main endocrine glands, the thyroid and pancreas. Both this gland that helps control appetite, mood, sleep patterns, and the rest. Not many scholars who accept that the practice of yoga is the surest path to weight loss. However, a recent study from Fred Hutchinson Cancer Research Center in Seattle, the U.S. began to open the insight that yoga is also beneficial for slimming. The researchers found that people who ate mindfully – those were aware of why they ate and stopped eating when full – weighed less than those who ate mindlessly, who ate when not hungry or in response to anxiety or depression. The researchers also found a strong association between yoga practice and mindful eating but found no association between other types of physical activity, such as walking or running, and mindful eating. So, if you want to slim and healthy, let’s try to yoga exercises.